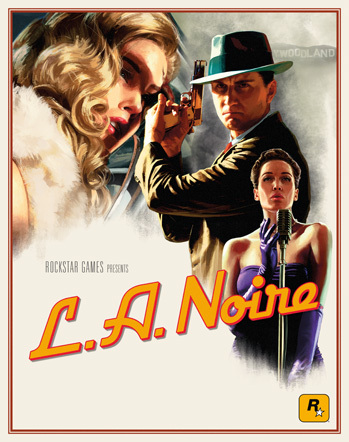 Back in 2011, Rockstar and Team Bondi released a game called LA Noire. Set in Los Angeles in the 1940s, the game tried to merge detective fiction with an open world setting, complete with cases to solve and perps to question. It was an interesting game really, and it did pretty well on the market. However, with Team Bondi’s development practices coming under fire and the game design not quite matching that of GTA or Red Dead Redemption, it faded into the background shortly after. Well for the Switch version, it’s your typical extra control mechanics. You’ve got gyro controls with the Joy-Cons. There are touch screen controls when playing in handheld mode. And there are some minor additional bits in game, like extra camera angles. No, I’m not quite sure what they mean by that one either. For the PS4 and Xbox One on the other hand, it’s really more of an upscaled port than anything else. The textures are upgraded, the lighting effects are made better and in their own words… they’ve now got ‘enhanced clouds’. It’s your typical video remaster really, with the changes basically existing as a way to justify not putting it on PSN/Xbox Live. Finally, there’s also a VR version for the HTC Vive too. This one is simplified to fit the hardware (only 7 cases are included overall), but it provides a way to experience the title in a virtual reality set up none the less. And that’s it really. A few system specific features, some upgrades to camera angles and resources as well as a new version to show off VR tech. It’s not the biggest set of changes in the world, but it works well enough for this game. Especially given how Nintendo fans haven’t experienced the game at all by this point. But enough of that. What does this all mean for the brand as a whole? Well, a few things really. Firstly, it shows Rockstar are willing to give the Nintendo Switch a chance in general. That’s great news for Nintendo fans, and means it’s not completely unlikely that their more hyped games (like GTA and Red Dead Redemption 2) could be heading to the console themselves further down the line. It also means that LA Noire as a brand isn’t dead. Which again is great news for those who enjoyed the original game, since we’ve heard basically nothing about it for the last 6 years at this point. So, there’s now the possibility that if it does well here, an actual LA Noire 2 game could be in the pipeline at some point. Either way, LA Noire is being released for Switch (and other modern systems) on November 14th 2017. So, are you buying it? Does the idea of Rockstar possibly releasing games on Nintendo systems get you hyped up enough to give it a chance? Or are you waiting for other games by the company to come out on the system instead? Post your thoughts here or on the Gaming Latest forums today! Could a Nintendo Direct Be Coming September 13th?